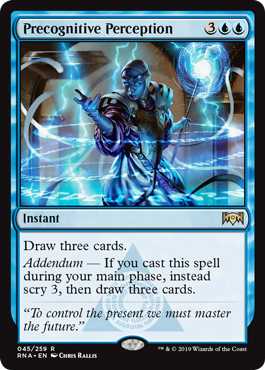 Addendum — If you cast this during your main phase, instead scry 3, then draw three cards. Jace's Ingenuity with extra gas. Someone is going to find a use for this thing. Jace's Ingenuity is good. Like, not too good, but it can see some play in budget Draw-Go. This is better.